WOW! 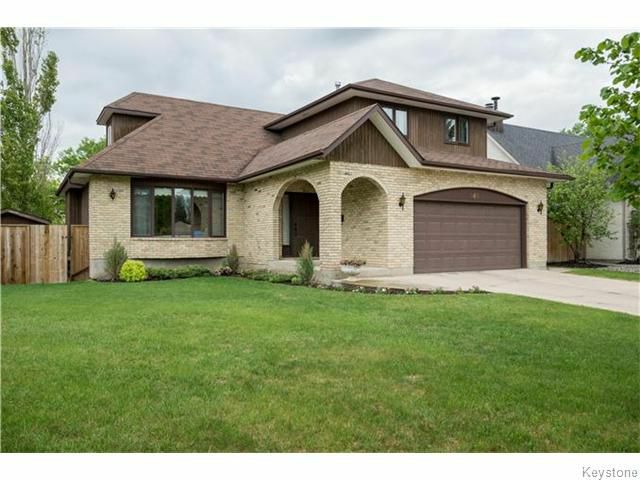 The long time owners have meticulously maintained this 2260sf 4 bedroom, 4 bathroom two storey home! Gorgeous hardwoods throughout and many large windows - including two large bay windows - make the main floor of this home very bright and inviting. The kitchen has loads of storage and recently got refreshed with granite counters. In the family room there is a gorgeous wood burning fireplace and stylish wood beams on the ceiling; this space has patio doors that open to your large deck and well landscaped,fully fenced yard. The main floor also features a formal living and dining room, laundry and a powder room. Upstairs are four large bedrooms, which includes the master suite, featuring a 3 pc ensuite,walk-in closet and it’s own private balcony. Downstairs the basement has been fully finished with a rec room, office/den, and bathroom. The home is close to schools, shopping, Southdale community centre, transit and the playground is just across the street. Call today!